This is your African Safari digital guidebook. 200+ animals, 500+ photos, sounds of the Big Five, and a checklist map of your animal sightings that you can share with friends on Facebook, Twitter or via Email. Everything works OFFLINE. No internet connection needed. 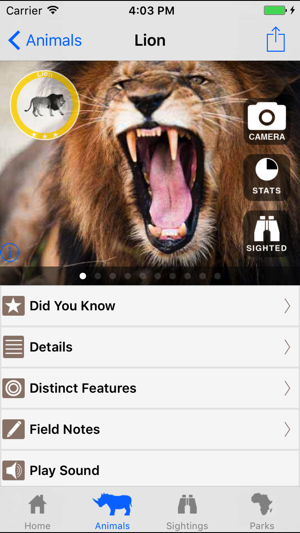 African Safari Tracker is the number one animal and wildlife app for the discerning safari enthusiast. "Perfect complement for game drives. Works without an internet connection and comes chock full of information and photos on every animal. I surprised our guide more than once with nuggets this app uncovered." "I loved being able to keep track of all my sightings on a map. The pins with the animal silhouettes were a big hit, like a treasure map of our safari." • Download once and have everything you need for OFFLINE viewing. • 500+ Did You Know facts like “Giraffes sleep lying down on folded legs"
• Detailed country maps can be downloaded in the sightings section of the app free of charge. 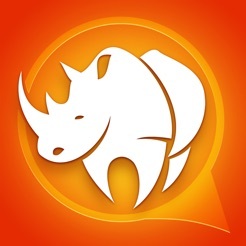 • Rhino sightings appear off-map to hide their location. Fixed issues with server maps. Fixed display glitches related to Did You Knows. A good idea but limited list of animals and very superficial information easily obtained from Wikipedia. Tracking feature is interesting but journal apps provide similar tools. Sorry to hear you were disappointed! Hmmmm. 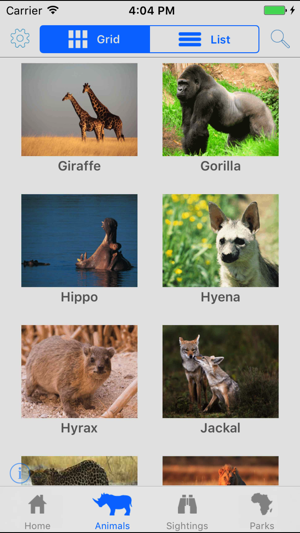 We're very clear about the app including 200 animals, which is every single animal you could come across while on an African safari. Was there an animal you saw on safari that wasn't on the list? Perhaps you had our GPS feature turned on? That feature filters your animal list to those specifically in your park, saving you look up time while on the game drive. It is very accurate but if you had it turned on in an African city for instance, you would have a limited list. Easy to toggle on/off though and is a very handy feature. In terms of content, you are absolutely right, much of the information can be obtained using Wikipedia. It isn't a superficial dump though. The challenge with Wikipedia isn't obtaining the content, it's picking out the good stuff, validating it, and packaging into something that is both mobile friendly and works offline. We spent hundreds of hours curating both Wikipedia and tour operator and guide content into tight, digestible facts, taking time to ensure each animal had scrollable high level "did you know" insights as well as links to more detail on weight, speed, size, tracks, diet, predators, habitat, lifestyle, family composition, distribution and their IUCN (threatened species) rating, all of which could be used without an internet connection. Everything is bundled into the app. This choice was very much a result of our own safari experiences where we wanted to be able to quickly get at the information and keep our focus on the animals not on our screen. Parks are admittedly a bonus more than a feature, it is not the focus of the app. we included information we had found on a dozen or so parks but perhaps should remove it to not misalign expectations. The focus and value is very much on animals. 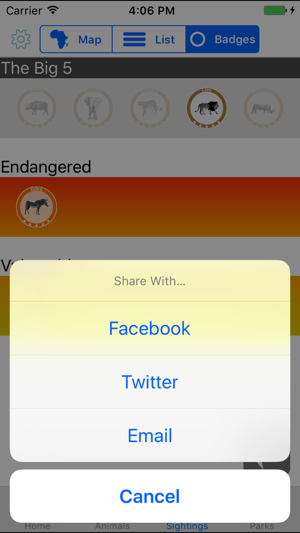 The shareable sightings map is different from anything we've seen in text based journaling apps. A personal map of your parks with picture pins of all your sightings, where you can tap to get more detail including endangered status and photos plus leave notes, is unique. Sharing it with friends via email or Facebook or Twitter adds to the uniqueness. At the very least, having something like this integrated into a unified digital guidebook means you don't have to use two apps. 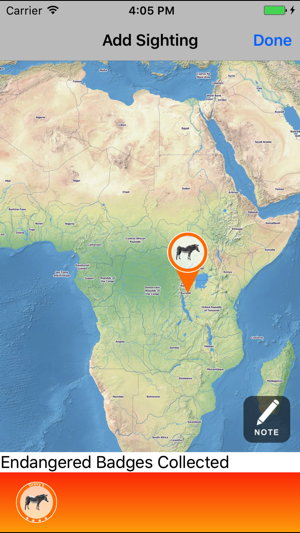 We've had very positive feedback on the sightings map, especially how fun it is to go through the animal facts back at the lodge post sighting. @daringthink, our tiny team of two appreciates your feedback. I hope we provided some perspective and context for you and others. Best Safari App out there!! Perfect compliment for game drives. Works without an internet connection and comes chock full of information and photos on every animal. I surprised our guide more than once with nuggets this app uncovered. Very easy and enjoyable to use. I learned exciting additional information about giraffes, lions etc that I had not known before. 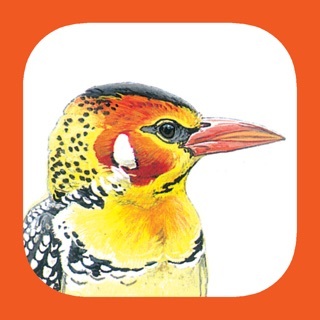 This is a must app to have for anyone on Safari or preparing to go on Safari.